Transform the quality of your PE delivery. 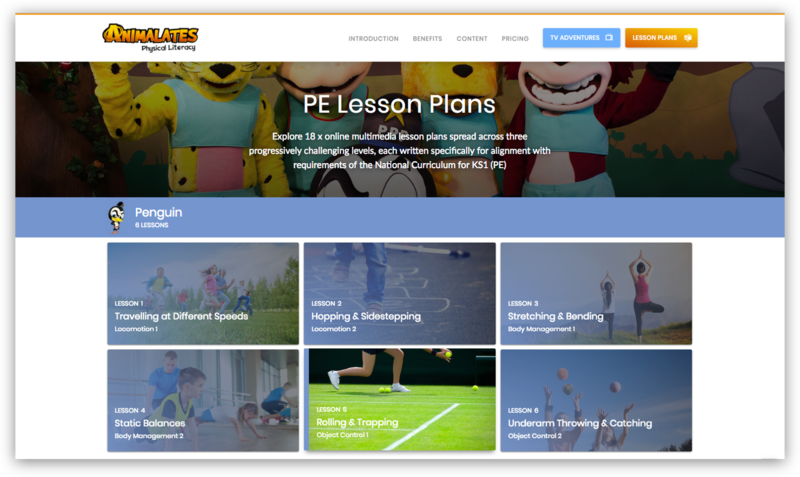 Animalates is an interactive physical literacy resource which will transform delivery of PE and physical activity throughout your primary school. 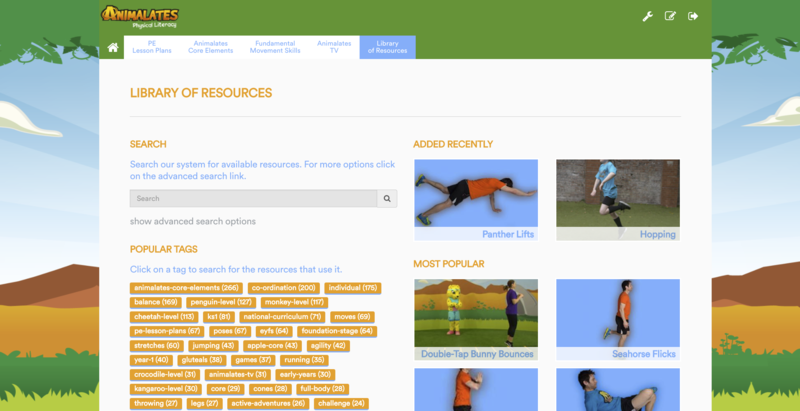 Animalates is an online physical literacy resource which uses elements and characters inspired by the animal kingdom. Designed by Physical Literacy experts, evaluated by current PE Teachers and enjoyed by children all over the UK. Develop children towards mastery of National Curriculum fundamental movement skills. 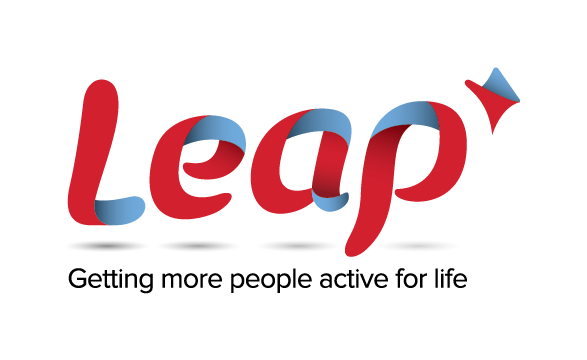 Tackle inactivity, fight obesity and complement public health & wellbeing strategies. Increase numbers of children reaching physical literacy standards. Animals demonstrate different physical characteristics, as well as appearing to present human qualities in an immediately recognisable way. Children, who instinctively understand this, also love to impersonate animals. Applying these principles to physical literacy and primary PE instruction, Animalates is proving an appealing, engaging and effective combination; not only for children but also for teachers and school leaders. 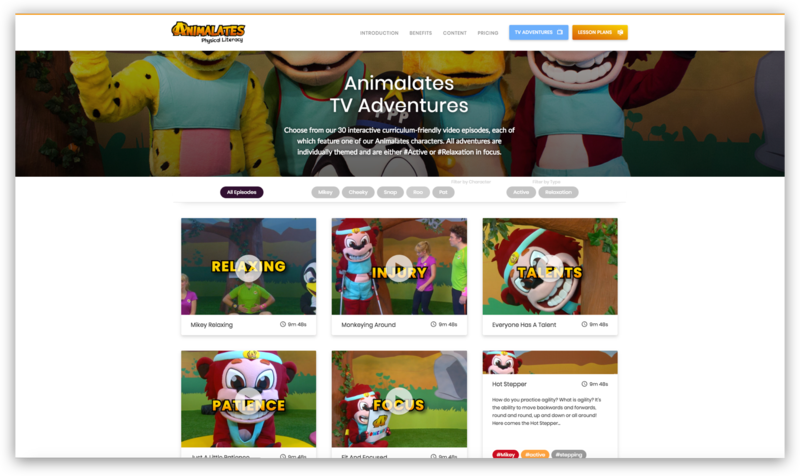 The Animalates platform includes physical activity content aimed at children in Early Years, Foundation Stage and Key Stage 1 - but we've seen it enjoyed across a wide variety of ages, purposes and school settings! Animalates is making a difference to lots of different users of all ages. "Animalates has been a revelation both in getting our children active and developing their fundamental movement skills. Our staff find it easy to deliver and it’s certainly one of the best value uses of the PE Sport Premium we’ve implemented." Animalates is SO popular and effective with our children, and having been so obviously written by physical activity education experts it's meets our needs perfectly. Rarely has delivery of physical activity been this enjoyable & productive… the children absolutely love it! Evie just can’t get enough of Animalates and normally I never know what she does in PE. Her school has provided home access and so it’s great to have that connection between school and home - we have it on all the time in the house! In order to enable access to Animalates for as many schools as possible, pricing is ranged according to form intake.